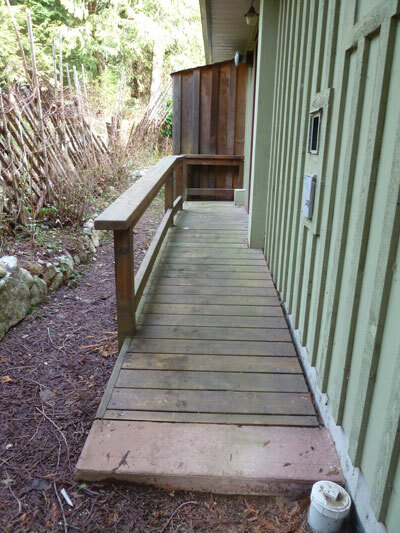 This is one of 31 rural homes clustered in a woodland area, and situated minutes away from downtown Roberts Creek. The houses were designed to be expandable, for growing families, but at the same time were designed to have a small footprint on the earth. When the houses were being built, some of the trees that had to be removed were milled into boards used on the exterior, or saves as posts for the porches. 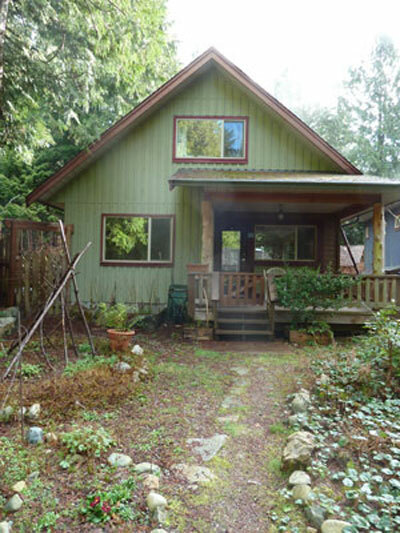 This house backs onto a protected forest, with Clack Creek and a well maintained trail running alongside it. House 24 is on the lot that is halfway down on the right-hand side. 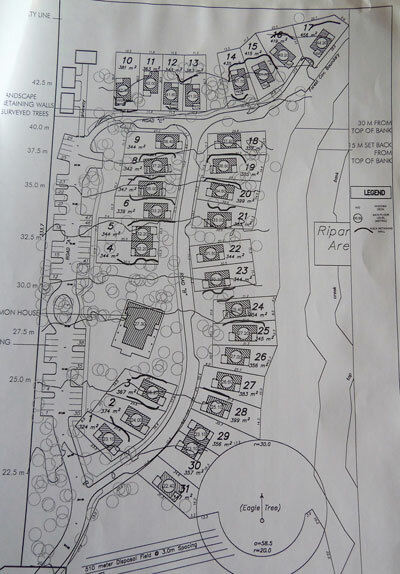 The floor plan includes 860 sq. 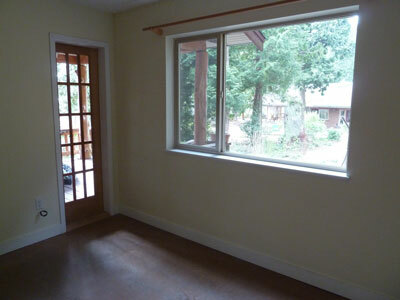 ft. on the main floor, 120 sq. ft. in an additon added on the second story, for a total 1020 of sq. 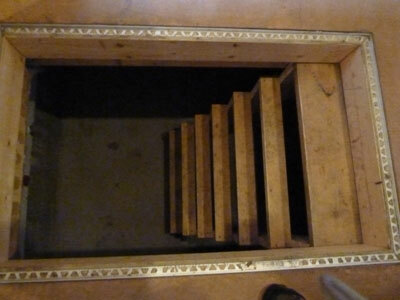 ft., excluding the crawl space which is an additional 860 sq. ft. 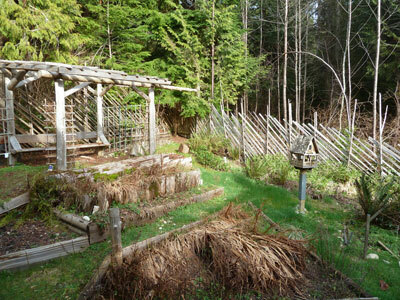 The back yard, complete with raised beds, a bird hose, and a quiet covered seating area. 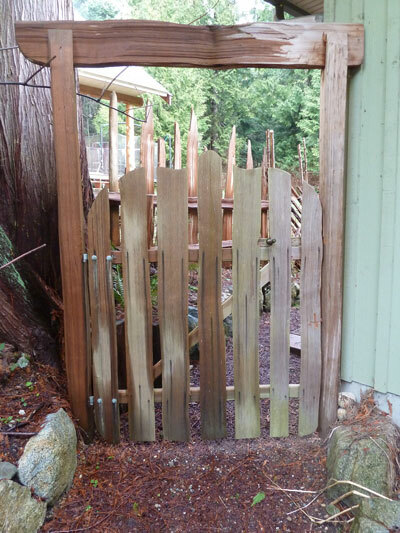 A rustic gate leading to the side and back yards. 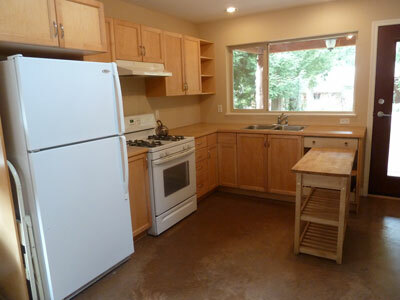 The main floor open plan includes a full sized kitchen with quality maple cabinets. The complete set of energy efficient appliances includes a gas stove, washer & dryer, freezer, and fridge. 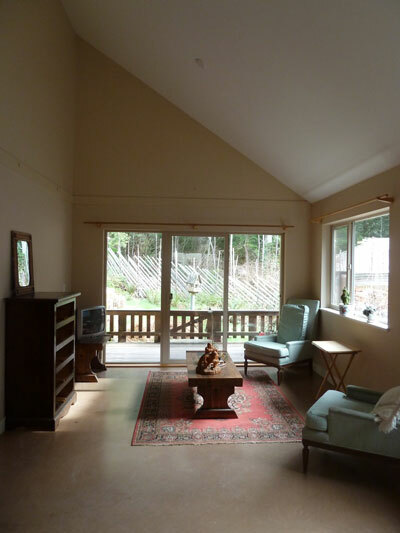 Vaulted ceilings and a skylight give a sense of spaciousness and light in the main floor living area.. 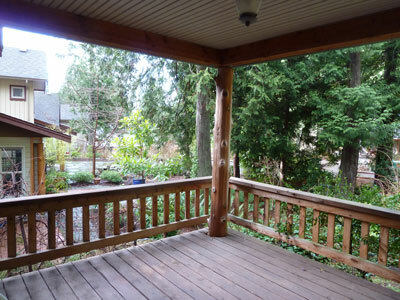 The front bedroom looks across to the Common House, and fronts on the pedestrain roadway. The 4 ft,. 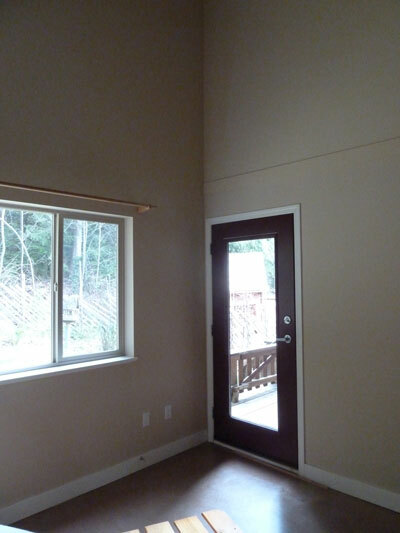 tall crawlspace leads to a fully insulated, and heated space of 860 sq. ft.